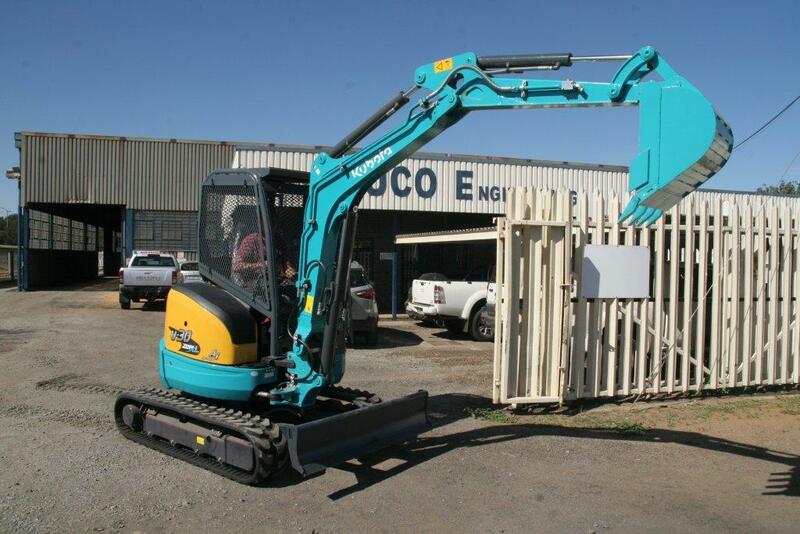 Greenstone Management Services (GMS) has purchased a Kubota U-30 mini-excavator for its client Caledonia Mining Corp Africa for work at the Blanket Gold Mine in Zimbabwe. 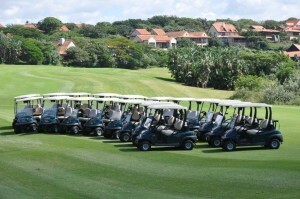 Club Car is Zimbali Country Club’s choice in golf carts having recently taken delivery of 60 Precedent i2 units from Modern Mowers Durban branch. 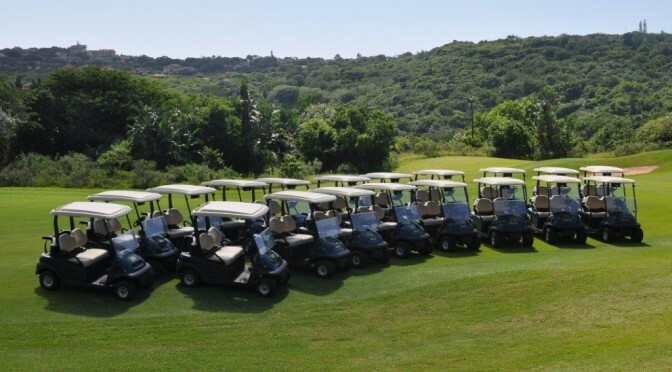 Steven Shearer, Zimbali’s GM, says that the deal agreed to with Modern Mowers was competitive and that their excellent service levels are appreciated by the Zimbali staff. 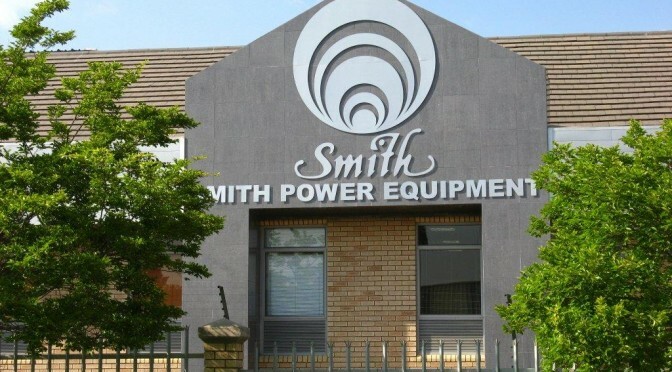 “No matter how good the machines are, and Club Car is certainly top of the range, the after-market service and support is vital in a deal like this and Zimbali has been working well with Martin Finch from Modern Mowers since 2002,” Shearer says. 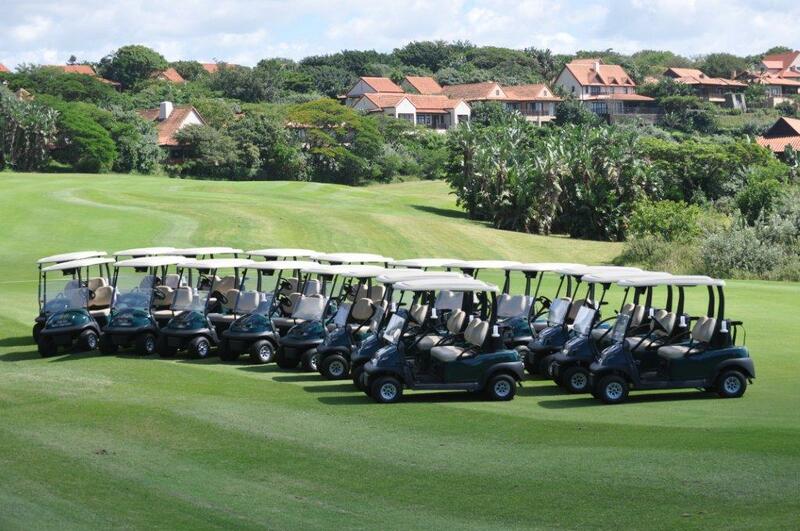 Zimbale (17): Zimbali Country Club recently took delivery of 60 Precedent i2 golf carts from Modern Mowers Durban branch. 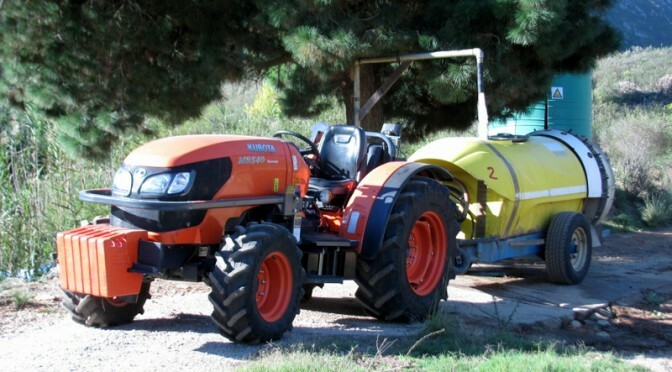 In the rugby world it’s the “Bokke” that a typical South African farmer would shout for, but in terms of business the cry changes to “Kubota”!! 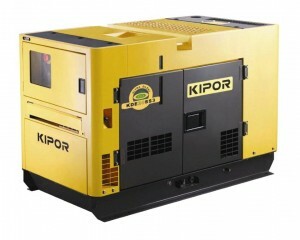 In this case it’s for the Kubota M-Series (M7040 and M8540) Narrow best-sellers both locally and worldwide. 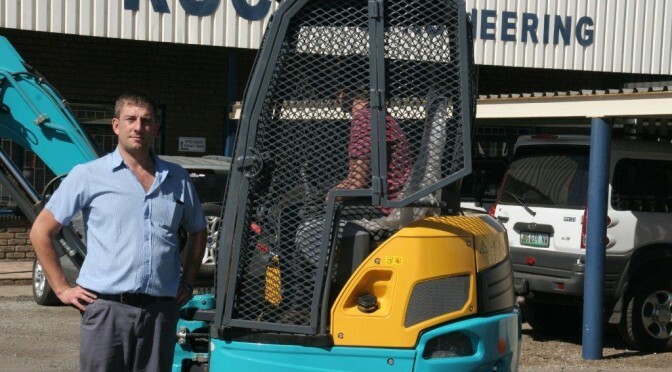 Orchard owner Pierre Ferreira says that one of the main benefits of the M8540 is its wide, spacious cabin. “Our former tractor of another well-known brand was significantly less comfortable as the design of the cabin made foot movement cramped and difficult. 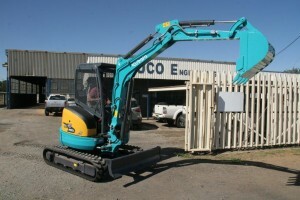 The cabin of the Kubota, however, has plenty of space, which contributes significantly to operator comfort and productivity,” Ferreira says. 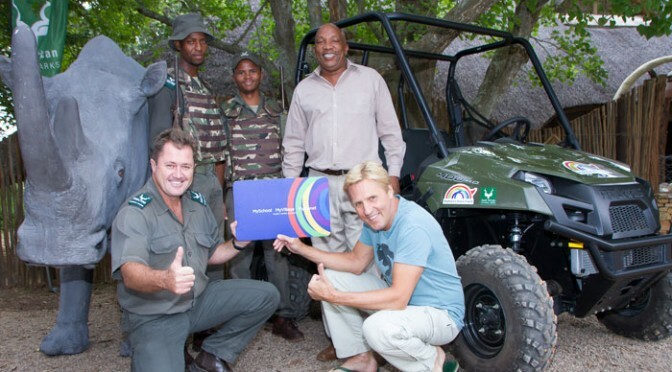 Addo Elephant National Park’s fight against rhino poaching was stepped up a notch recently when it took ownership of a Polaris all-terrain vehicle (ATV) and a specially designed “rhino” trailer for use in the field. This was thanks to a financial injection from the MySchool MyVillage MyPlanet fundraising programme’s MyPlanet Rhino Fund (administered by the Endangered Wildlife Trust) for the ATV and the Rhino Action Group Effort (RAGE) and TW Steel’s donation of one of only four-of-its-kind trailers. Groblersdal, a farming town situated in the Sekhukhune District of Limpopo, is famous for its irrigation farming. 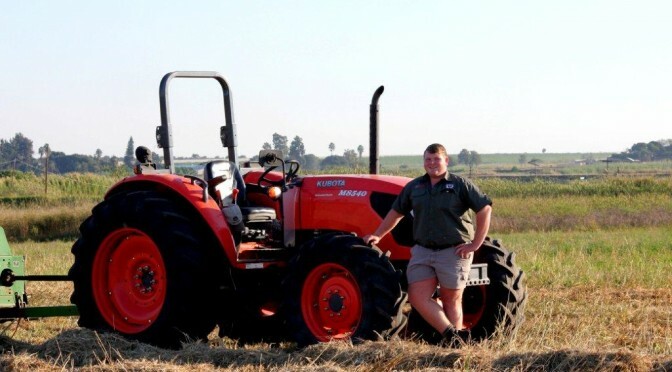 And it won’t be long before a young 18-year old farmer in that district – Gerhardt Nell – will add significantly to that fame! 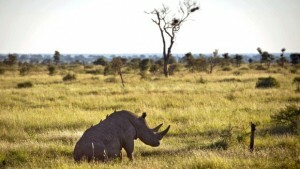 You see Gerhardt knows what he wants and in spite of his young age he is moving forward hell for leather to achieve it. 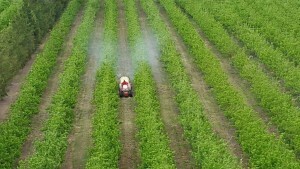 “I always wanted to be a farmer,” he says. 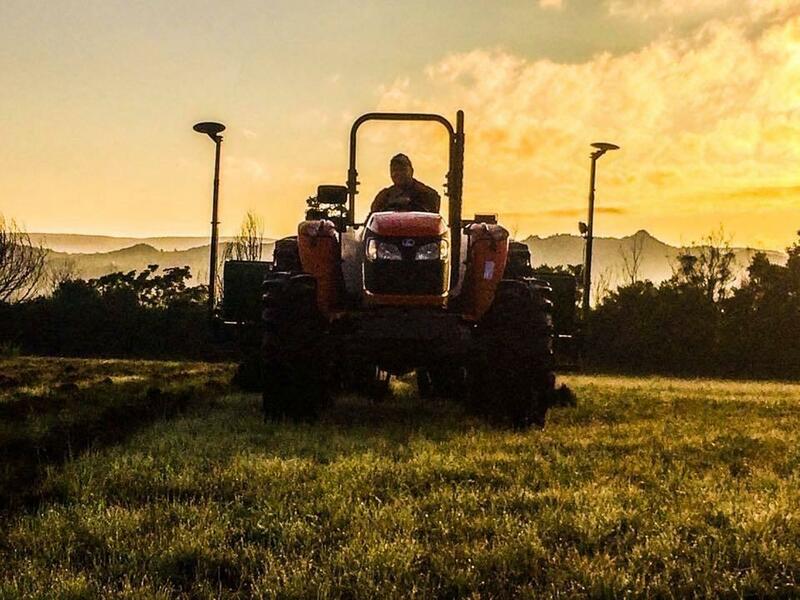 “And now, with the 60ha that I am starting out on and my Kubota M8540, I’m in a position to make my dream a reality,” says Gerhardt. 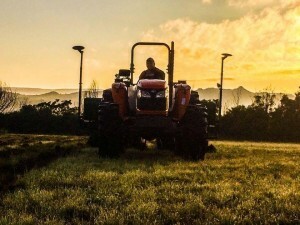 Eighteen year old farmer Gerhardt Nell with his Kubota M8540.